Swedish Moderate Party politician Mikael Cederbratt has called for the military to be deployed in the country’s crime infested “no-go zones”. 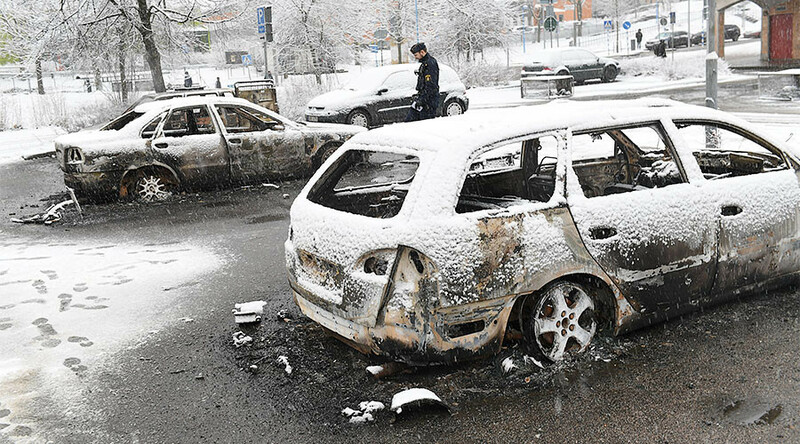 Hallunda-Norsborg, Tensta, Rinkeby and Husby are areas in Stockholm where the military can enter and back the police against criminal gangs, according to the motion proposed by Mikael Cederbratt and backed by 19 moderate parliamentarians. The situation in our areas of exclusion has deteriorated. The gangs have taken over and the police have had to retreat. Swedish law no longer applies here, says Mikael Cederbratt (M). “It is absolutely necessary to do something because these gangs are like cancerous tumours in our country, and the urgency. My absolute belief is that we, the nation of Sweden, must declare war on the criminal gangs,” writes Mikael Cederbratt on his blog where he comments on the motion. In war you use the total resources of society, Cederbratt says. “It is the responsibility of the state to maintain the law, especially the police. But the police today do not have the numerical ability to maintain public order. Then his eyes quickly fall on the military and defence, he says. After the report on vulnerable areas: The police: Fittja has actually become safer. To stop the gangs from taking over the areas required zero tolerance to crime, which would mean a constant police or military presence in areas such as Norsborg, Cederbratt maintains. “It’s the honourable people in the area that are suffering. We need to go in to support them, he says. He suggests that the military, under the leadership of the police, be able to carry out “some police tasks, such as the maintenance of public order and certain security duties”. The police can then focus on conducting gang leaders, while military police maintain law and order in the areas. “For example, a police bus and a night in Norsborg could be manned by four to five soldiers led by a police inspector,” said Cederbratt. – Military police are perfect. We also have a group of UN military unions who have learned this kind of work in very difficult situations abroad. If they receive supplementary education, they can work very well under the guidance of a police officer in Sweden. – Some kind of weapons should they have. If you are on a bus, it’s most convenient with some kind of gun. But such details are not up to a riksdagsmedlem to decide. In the motion, Cederbratt raises Denmark as an example, where he has been training since September to cooperate with the police. The proposal is not intended as an alternative to more police but is meant to relieve the hard-pressed police authority, the moderator writes in the motion.